Avoid hunching your back - Instead bend the hip joint so that natural lumbar curve is maintained. The Jemini Draughtsman Chair is an entry level work chair with a recommended usage time of 5 hours. Seat dimensions: W460 x D450mm. Back dimensions: W435 x H400mm. Seat height: 700-810mm. 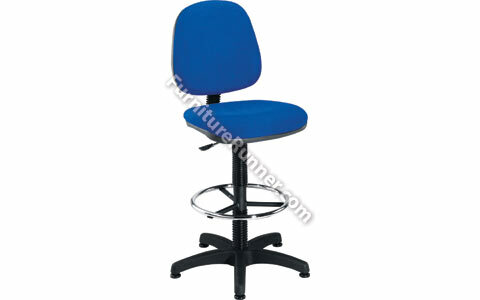 This chair us suitable for use in a factory a laboratory as well as general office use. The product is perfect for use whilst comfortably working at a desk, in front of computers for typically 5 hours a day.